Reporting to the President and CEO of CICC, the VP, Government & Stakeholder Relations will develop and support a strategic government and stakeholder relations program that advances the Convenience Industry Council of Canada’s objectives and reputation. The person will be responsible for overseeing coordinated regional advocacy efforts in the provinces, with assistance from consultants and/or staff on the ground in each region. The person will also provide analysis and strategic advice, planning and coordinating activities at a federal level. 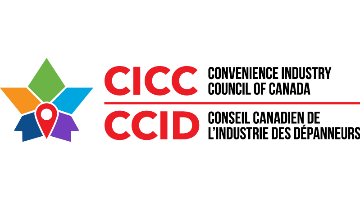 The person will be responsible for fostering mutually beneficial working relationships with members and stakeholders and supporting CICC in their dealings with government and other partners so that interactions across all levels of government are strategic, coordinated and consistent. Key to this role is the ability to represent the Convenience Industry Council of Canada in various capacities thereby enabling the industry to advocate our interests effectively and thoughtfully. Plans and/or coordinates meetings/briefings with members and key stakeholders, including logistical details for meetings, pre- and post-meeting strategy sessions, debriefs with participating executives and drafts summaries for internal use. Works closely with the President & CEO on a key national program, Convenience and Community Day. This is a day where politicians and community leaders are invited into stores across the country and funds are raised for the Children’s Wish Foundation.